Archive photo of Coulson’s C-130H and Firewatch 76. Photo by Coulson. 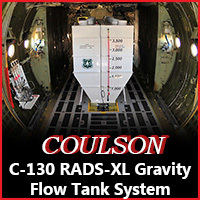 Most of the work on Coulson’s project to convert a C-130H into an air tanker is taking place at the San Bernardino, CA airport. Workers are making good progress, according to Brit Coulson. 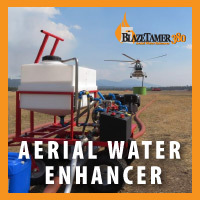 When it is complete, the internal tank will be able to be easily removed using the attached wheels so that the aircraft can be used at night, with a double crew, to transport cargo, such as fire trucks or other wildland fire equipment. 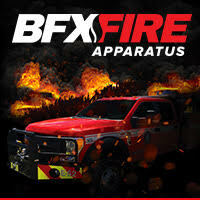 More information about the project was in an April 9, 2012 article at Wildfire Today. The Associated Press has a recent story about the conversion. Below is an excerpt from the article, in which Wayne Coulson has been promoted to “tycoon”. Congrats Wayne! SAN BERNARDINO, Calif. — A Canadian tycoon is converting a 30-year-old ex-military plane into a high-tech firefighting aircraft, hoping to win a federal contract before the onset of this year’s wildfire season. The Navy C-130 owned by Wayne Coulson is undergoing a nose-to-tail renovation at San Bernardino International Airport, the regional air tanker base for the U.S. Forest Service. When finished, it will boast a 3,500-gallon tank for fire retardant, night-vision equipment and a GPS system that will make pinpoint drops when guided by a laser device mounted in an accompanying helicopter, the Riverside Press-Enterprise reported Wednesday. 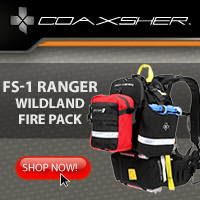 Test flights are scheduled for next month, and Coulson hopes to win a Forest Service contract by June. Coulson, a timber and aviation tycoon, also owns a converted World-War II-era Martin Mars seaplane that has fought fires throughout California.. It has been 470 days since the U.S. Forest Service issued a solicitation for next-generation large air tankers, but no contracts have been awarded. Coulson is hoping to receive one of the new contracts. 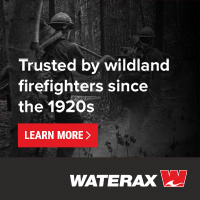 When all of the U.S. Forest Service air tanker contracts expired on December 31, 2012, that left the agency without any when the new year rolled around. To temporarily fill the gap, the USFS has extended the expired contracts for Minden and Neptune through April 22. Today there are three P2V’s working. Minden’s T-48 is at Porterville, CA, Neptune’s T-07 is at Lake City, FL and Neptune’s T-44 is at Alamogordo, NM. It has been 469 days since the agency issued the solicitation for next-generation air tankers but no contracts have been awarded. Also pending are solicitations for legacy and very large air tankers. The USFS has told at least one air tanker vendor that they expect some of the new contracts to be announced either this week or next. We are checking to see if a 30-day waiting period will be required after the announcement while Congress is notified. The last time the USFS announced their intention to award contracts, last summer, Congress passed a bill that eliminated the waiting period for those contracts because of the shortage of air tankers. And then later the USFS had to cancel the almost-signed contracts after unsuccessful bidders lodged protests. There is a good chance there will be more protests the next time contracts are awarded. A P2V at Rapid City Air Tanker Base July 21, 2012, during the Myrtle Fire in the Black Hills. Photo by Bill Gabbert. A few days ago I was interviewed by Boise State Public Radio. They wanted to talk about air tankers. You can listen to the interview here. 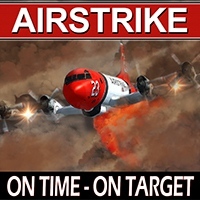 10 Tanker Air Carrier issued a statement Monday on their Facebook page about the bid protests that they, along with Coulson, filed over the contracts for next generation air tankers that the U.S. Forest Service announced that they were going to award last summer. The company has two DC-10 air tankers that carry 11,600 gallons of retardant, about six times more than a P2V, but they were not going to receive exclusive use contracts for the aircraft. The USFS had to cancel the process just before the contracts were signed. Four months later the solicitation was reissued with 31 changes, requiring responses by November 1, 2012. The DC-10 air tankers have received excellent reviews from firefighters and aviation managers, but the USFS has in the past only offered them call when needed contracts, meaning they may or may not be used at all, and if they were, it would be intermittently. Mark Udall, who serves on the U.S. Senate Energy and Natural Resources Committee, urged private contractors to respect the U.S. Forest Service’s upcoming decision to award contracts to several U.S. companies to supply next-generation air tankers. Protests and challenges of past contract awards have already delayed the Forest Service’s acquisition of seven next-generation air tankers — which Udall championed last year. 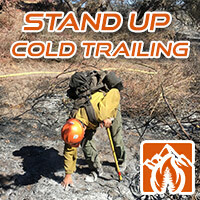 Additional protests could leave Colorado and the West without these tanker resources for the 2013 wildfire season. 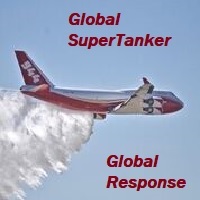 A widely published Associated Press article recently related the story of the long-term decline in the U.S. Forest Service’s aerial tanker fleet to the Next Generation Air Tanker solicitation bid protest last year by 10 Tanker Air Carrier and another bidder. Some members of Congress have expressed support for Forest Service to use emergency authorities to work around the bid protest. What the article omits and members of Congress may not realize is that it was the General Accountability Office (GAO) that found the 10 Tanker bid protest to be valid. That caused the US Forest Service to withdraw from the bid protest process, to amend the solicitation to correct its discriminatory issues, and to reissue the solicitation. As you may know, GAO is the investigative arm of Congress “charged with examining matters relating to the receipt and payment of public funds.” As a part of that responsibility, GAO is also charged with handling bid protests, but they do not undertake that role unless there is obvious discrimination in an agency’s contract decisions. In this case, they found that the Forest Service used a decision process that discriminated against 10 Tanker Air Carrier. The issues involved cost basis in which 10 Tanker clearly offered the lowest cost per gallon of retardant delivered on fires, and also involved the USFS use of outdated, third party input that, had the well-known facts been used, would have been in 10 Tanker’s favor. Had 10 Tanker’s bid been awarded, we could have provided the same protection to the public with four aircraft this 2013 wildfire season that is the equivalent of 15 – 16 competing aircraft that will not be available for use for several years. 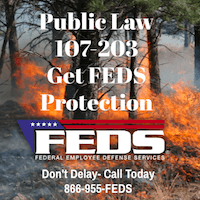 10 Tanker wholeheartedly agrees that responsible leaders, including the Chief of the USFS, should use emergency procedures and resources to protect the public in an emergency. However, we discourage the declaration of an emergency as a means of providing a long-term solution to this on-going issue. We are confident it will be resolved within the next several months and thank you all for your support as we move closer to the upcoming fire season. It has has been 1 year, 2 months, and 25 days since the USFS first issued a solicitation for next-generation large air tankers, but no contracts have been awarded. A next-generation air tanker, a BAe-146, at Neptune’s facility in Missoula, August 11, 2012. Wildfire Today photo. UPDATE Feb. 25, 2013: The Associated Press reporter, Mead Gruver, who wrote the article referred to below, has expanded on his original fairly brief version. You can read the more complete article at the Billings Gazette. The Chief of the U.S. Forest Service, Tom Tidwell, called a reporter for the Associated Press Friday afternoon primarily to talk about air tankers. It has been 1 year, 2 months, and 22 days since the USFS issued a solicitation for next-generation air tankers, but Chief Tidwell said he expects the agency to award the contracts in two months. A representative of one of the companies that bid on the contracts was recently told by the USFS that the contracts would be awarded by the end of February. After announcing on June 13, 2012 that the contracts would be awarded to four companies for a total of seven next-generation air tankers, the USFS had to cancel the process just before the contracts were signed due to protests by two companies that did not receive awards. The aircraft that almost received contracts were four BAe-146s, an AVRO RJ85 (a variant of a BAE-146), and two MD87s, operated by Minden, Neptune, Aero Air, and Aero Flite. Four months later the solicitation was reissued with 31 changes. It required responses by November 1, 2012. All federal contracts for large and very large air tankers expired December 31, 2012 and none were on contract until this week when the USFS extended last year’s contracts. Neptune’s contract was extended through March 5 and Minden’s will expire again on April 22, according to Jennifer Jones of the agency’s office in Boise. In addition to the new contracts for next-generation air tankers, the USFS still needs to make decisions about new contracts for the existing Korean War vintage “legacy” air tankers and very large air tankers. Bids on legacy tankers were due December 14, 2012. 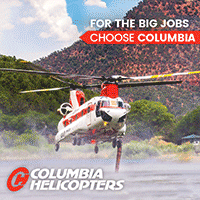 A pre-solicitation for call-when-needed (CWN) very large air tankers was issued February 19, 2013. The 2012 wildfire season began with 11 large air tankers on federal exclusive use contracts. After two 50+ year old tankers crashed on June 3 killing two pilots, we were left with only 9, down from 44 in 2002. For a few months Neptune was able to get two airliners that had recently been converted to air tankers hired on temporarily. They were BAe-146s, designated as T-40 and T-41, bringing the total for a while back to 11.